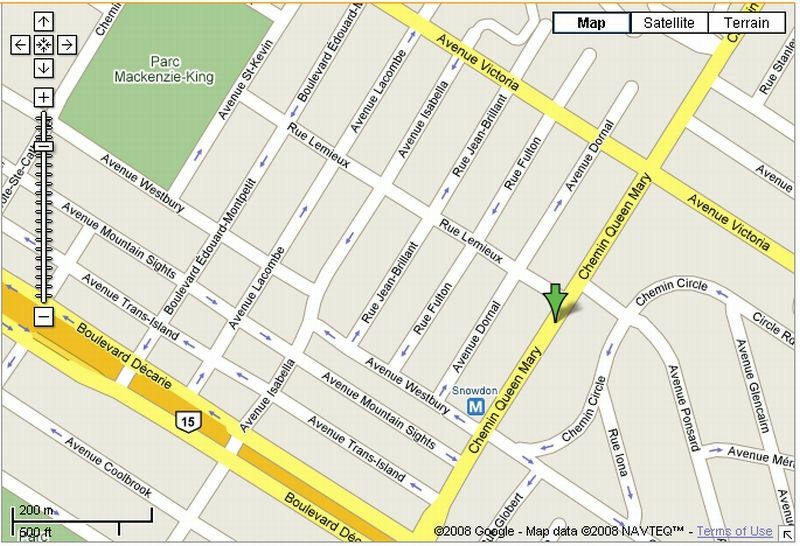 Site E is located in a commercial region in the mixed anglophone and francophone neighbourhood of Snowdon, near the Snowdon metro station and the Decarie expressway - it is just a few blocks east of Site D. As can readily be seen from the photos, the dollarware was relatively inaccessible due to a large quantity of cardboard boxes, some of which contained additional dollarware that the proprietor sold to us. 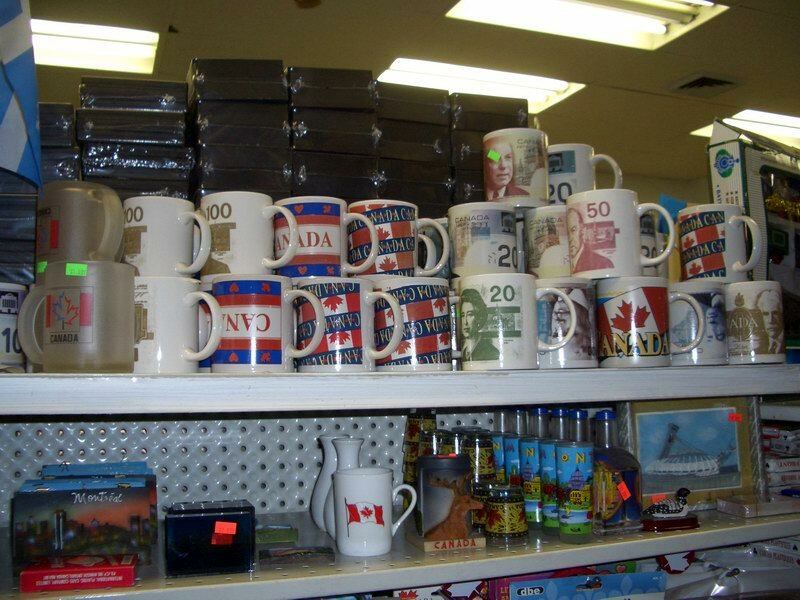 The dollarware was divided between two features, one with touristic artifacts and the other with general kitchenware. 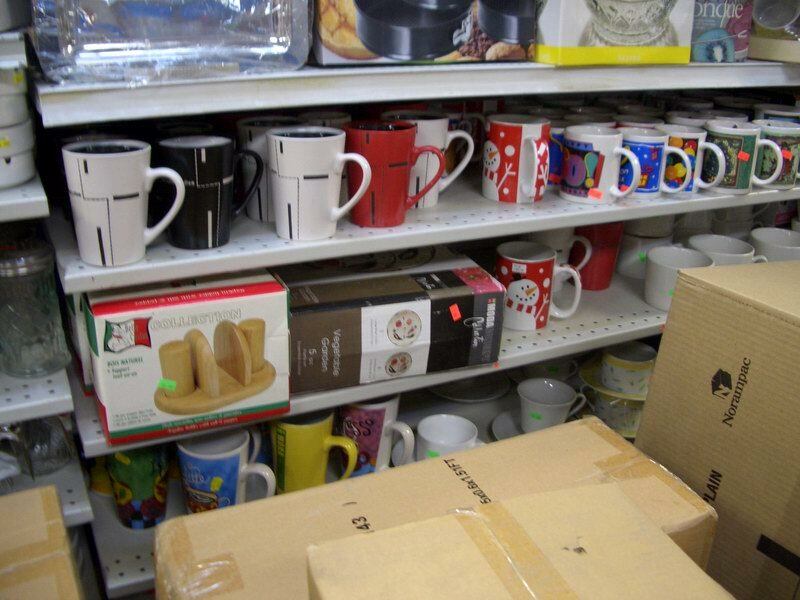 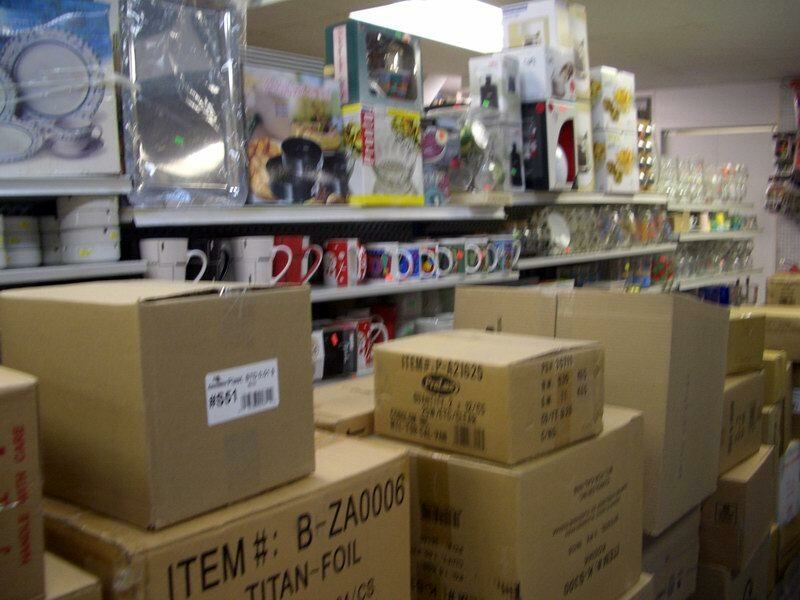 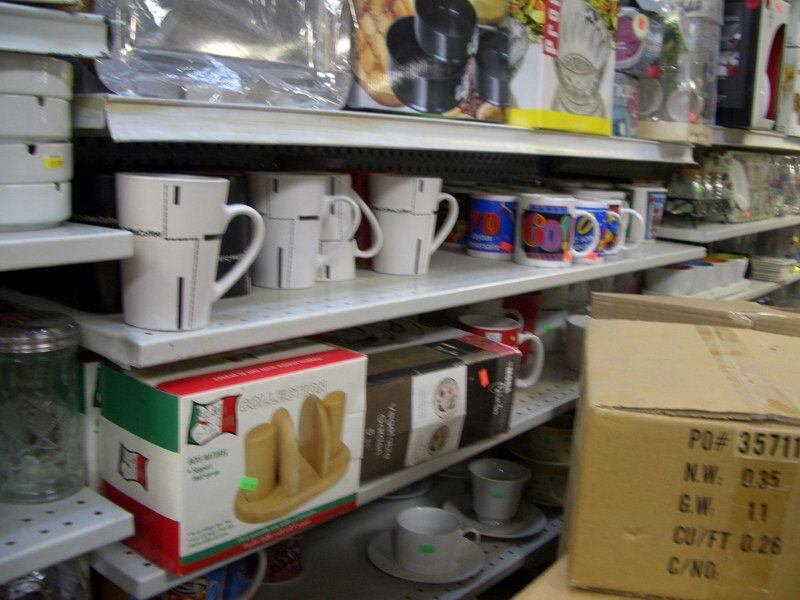 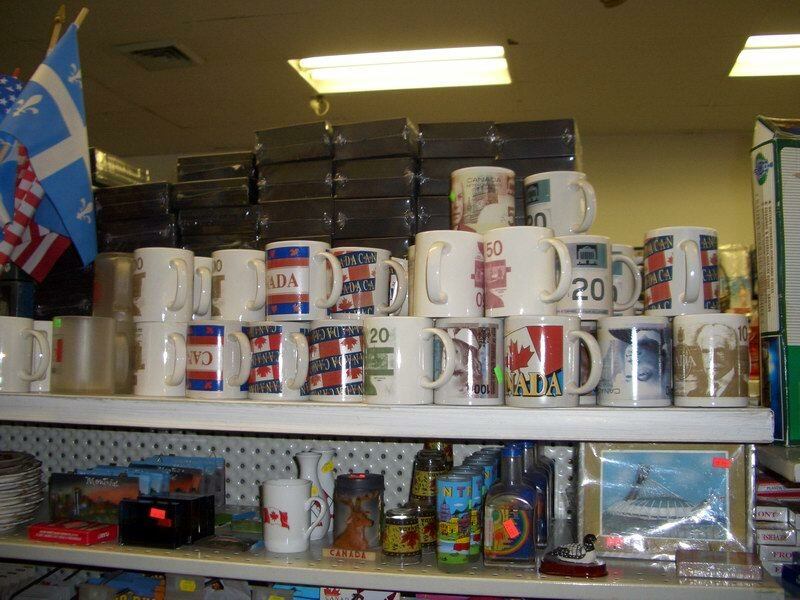 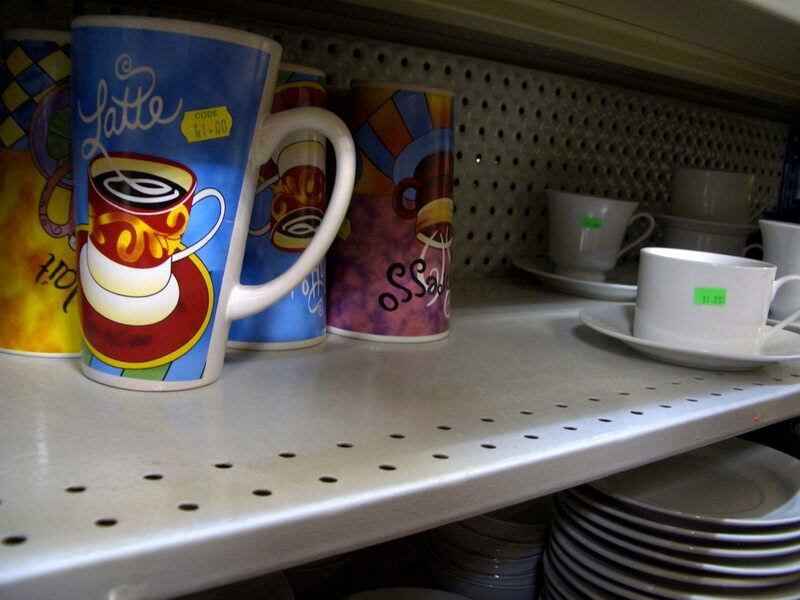 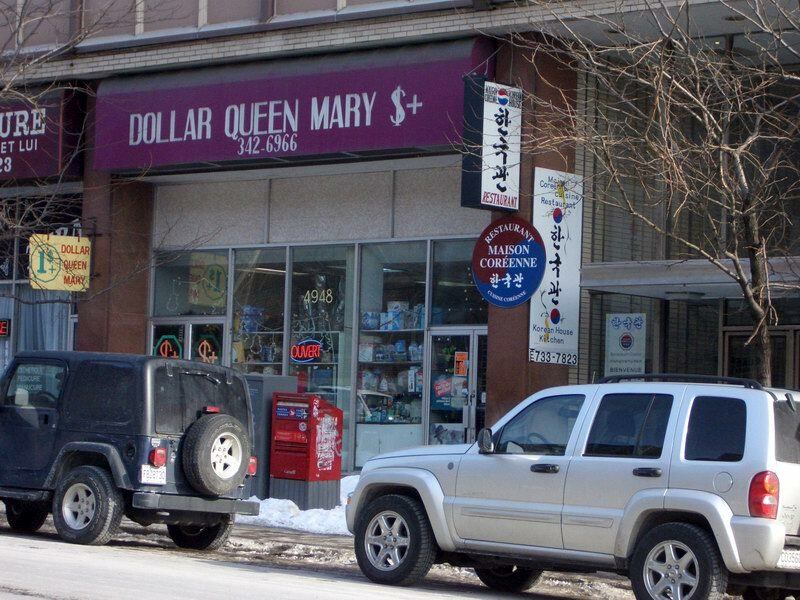 In addition to the dollarware, the site contained a large quantity of vessels costing more than $1.00 and thus which were not purchased.